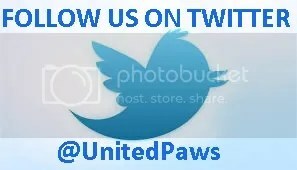 United Paws is a non-profit organization, relying on the efforts of a wonderful group of Tillamook county residents. Work Experience: Airline pilot for Continental Express Airlines since 2000, currently on medical leave; management positions in Artist Development and Product Management/Marketing for music industry conglomerate PolyGram/Universal from 1990-1999 (Germany, UK). Education: B.A. with Honors in Chemistry, The University of Chicago. Personal: Since growing up on a Midwestern farm, animals of all sorts have played an integral part in my life. My deepest desire is to help animals lead the life nature meant them to enjoy. My greatest disappointment is that our society often fails to show respect for other living creatures, and thus undermines its own character as a result. As Mahatma Gandhi once said, “The greatness of a nation can be judged by how well its animals are treated.” If I can contribute in some small way each day to making the lives of even a few of our animal friends better, then it has not been a day wasted. Work Experience: Career work has been in mining and railroads since 1973 starting in South Africa until 1978 and then in the US to date. Work has involved acquisitions of mines, evaluation of mining operations and new mine projects, appraisals of mining properties/projects, economic forecasts, strategic plans, and financial feasibility studies. He has worked for South African Minerals Bureau, Mobil Oil, African Explosives and Chemicals Industry, Island Creek Coal Company, Meridian Minerals Company and his own company since 1987. He has owned and operated a 52 mile short line railroad and a granite quarry and gravel pit project in southern Colorado. He is or has been a member of the American Railroad Engineering Association, National Railroad Contractors Assoc., American Institute for Mining & Engineering, National Stone Association, American Institute of Minerals Appraisers, and American Society for Testing and Materials. Education: B.Sc. Geology 1971 Cleveland State University; M.Sc. Mineral Economics 1973 Pennsylvania State University; Ph.D. 1978 Mineral Economics Randse Afrikaans Universiteit (Johannesburg, South Africa), Registered Washington State Professional Geologist, Certified Minerals Appraiser. Personal: Grew up in Pennsylvania and is working out of Denver, Colorado. Bought retirement house in Manzanita 2002. Still working but in transition from mining/railroads to animal sanctuary type work and medical Qigong. He does volunteer public speaking and work at The Wild Animal Sanctuary, Hudson, CO where over 300 exotic animals (80 tigers, 100 bears, coatimundi, camel, 40 African lions, 15 mtn lions, etc. are rescued from 48 US states and Mexico/Bolivia, neutered and fed for life with the intention of giving all animals large acreage homes. (The Sanctuary has about 300+ acres and has been expanding.) Mitch’s study interest is medical Qigong. Part of this interest is due to recognizing that everything is alive and is due appropriate honor and respect. He has a special interest in cats because they appear to be one of the least respected and cared for domesticated animals. The UPT model organization has much to teach, offer and help Tillamook County and he’d like to be part of this effort. Education: Graduated Tillamook High School, 2000. Took college art classes at Tillamook Bay Community College and Portland Community College. Graduated from Aviva Institute. Personal: Enjoys gardening, live music, and art. 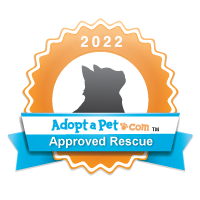 Plans to stay involved with and committed to animal rescue for the rest of her life–especially fostering and supervising others to foster–because it is so rewarding. Sarajane has been working as a Vet Tech for 14 years, in different locations and with different job responsibilities. She worked in Portland for a small animal clinic for several years before moving to Idaho, where she was the sole caregiver at a no-kill shelter in Hailey. She came back to Tillamook and worked for a local clinic. During this time and travelling on her own, Sarajane got a lesson in the three “Rs” — rescue, relief and reunion — as a volunteer at Tylertown, Miss., at a makeshift sanctuary set up for animal survivors of Hurricane Katrina of 2005. Sarajane then moved toHawaii four years ago. She enjoyed a unique experience at the clinic there, learning much about how animals are valued in one society and treated much differently in another. She has since moved back home and resumed her duties at Pioneer Vet Clinic here in Tillamook. She has a special affinity for animals and is often called in to help with a difficult patient because she can communicate with them so well. Throughout her career as a tech, she has also rescued countless animals, from dogs and cats, to owls, chickens, horses and even a rat. She is passionate about animal care, animal rights and treating every living thing with respect. Work experience: Since retiring from an administrative position with the nonprofit Oregon Dairy Products Commission and Oregon Dairy Farmers Association, she has, until 2011, voluntarily worked fulltime for United Paws of Tillamook, a 501 (c) (3) non-profit organization, that she co-founded with Christine Watt in 2003. While in Portland, she was also a volunteer for 2 years at the Cat Adoption Team (C.A.T. ), Sherwood, Oregon, a non-profit no-kill cat shelter. During that time, she not only worked hands-on within the shelter and with the cats, helping to design and create a better less stressful physical environment for the animals, but also set up its first mailing list, printed and sent out its first newsletter and sat on the inner council setting policy and procedures. It was here that she and others became acutely aware of the urgent need for spay/neuter to deal with cat over-population, as well as the high veterinary costs a shelter or group can incur in its efforts to succeed. Shelters simply “fill up!” Before that, she was a buyer in high-tech manufacturing and worked for the City Council of San Diego. Experienced in administration, print & MRO purchasing, event planning, marketing, policy & procedures, and non-profit organizations. Education: B.A., Sociology, University of California San Diego . Post graduate classes from U.C. Berkeley. Personal: Born, Seattle; grew up, Idaho, 15 years in southern California, 10 years Portland. At present, two very beloved rescued cats and one very beloved rescued dog share their home with her and with her husband. Quilting, book club, walking. (California); bilingual secretary, DuPont de Nemours International, S.A.
Work experience: TLC Federal Credit Union, Executive Vice President of I.T. – 2007 to current. Public Relations, Compliance, Manager, 1998-2007. First Interstate/Wells Fargo Bank, Fraud Investigations, Loan Processor, Operations and Branch Manager, 1972-1998. As a board member for United Paws, Cate has proven invaluable both with her strong banking and computer experience and her long-time connections and ties with Tillamook County’s most influential residents and businesses. Cate also serves on the Tillamook Pioneer Museum Board. Personal: Having been an “animal person” all of her life, she has fostered many cats and dogs and has made a commitment to do whatever she can to help animals lead a better life She and her husband enjoy their pets, music, and biking. Work Experience: She worked as a public information officer in radio broadcasting for the Executive Branch under both California Governors Ronald Reagan and Jerry Brown Jr. Following her government stint, she was an assistant editor for Sacramento Magazine before assuming the role of director of communications for the California Community and Junior College Association. Served as a public information officer for the California Department of Health Services, before garnering the position of Media Communications Director for the Dairy Council of California. In that role, she oversaw media tours and special nutrition press conferences for state and national food and health writers. She also designed, wrote and edited newsletters as well as nutrition education programs targeted to health professionals and the public, as well as elementary and middle school children. Moving to Oregon in 1989, she continued as a consultant with the Dairy Council of California for many years. From 1998-2000, she volunteered with the Cat Adoption Team (CAT) in Sherwood, Oregon, the first week the organization opened its doors. Helped with the day-to-day operations of CAT, overseeing volunteers, veterinary staff, consulting on budget issues, and providing hands-on care of the animals – feeding, medical care, and cleaning. Was head adoption counselor and assisted in training others in adoption policies and interviewing techniques. Beverly was the first media relations person for CAT, resulting in television and print media coverage of the shelter’s many feline residents. She also volunteered for the Portland Animal Welfare Team, which holds health clinics and gives away free pet food and supplies for the pets of Portland’s homeless and very low income population. She has served informally as a consultant to United Paws Tillamook for several years, assisting with writing and editing newsletters and posters, and other written communications for UP. Beverly is also active as a resource to provide information on animals in need or animal welfare programs to her many contacts in realms of animal welfare and rescue. Education: B.A. in Journalism from the University of North Carolina in Chapel Hill. Personal: Beverly adopted 7 cats from CAT, and many others have since found their way to her doorstep. She has recently completed an innovative “cat suite” for her beloved cats, including a fenced-in area which allows them to go outside and still be safe from predators.